The aim of commercial banking is to earn profit through exchange of money & credit instruments. It is a service oriented as well as profits oriented organization. The Bank divides its operation mainly three parts- General Banking, Foreign Exchange and Loan & Advances. The banking sector of Bangladesh is passing through a tremendous reform under the economic deregulation and opening up the economy. Currently this sector is becoming extremely competitive with the arrival of multinational banks as well as emerging and technological infrastructure, effective credit management, higher performance level and utmost customer satisfaction. The internship report has been prepared on “General Banking Activities of EXIM Bank Limited”. Bank has a significant role in the economic development of the country. In order to developing the national economy, banks keep in mind going for lending, maintaining safety, liquidity & profitability. EXIM Bank Limited was introduced in Bangladesh as a banking company under the Company Act 1913 & commenced operation on 2nd June 1999. Numerically it is just another commercial Bank, one of now operating in Bangladesh, but the finders committed to make different & a little bit special qualitatively. This bank has new vision to fulfill & a new goal to achieve & try to reach new height for realizing its dream. EXIM objective is to social commitment & for that it ensures cooperation to the people of all level, to the businessmen, industrialist-specialty who are engaged in large scale industry, agro based export oriented medium & small-scale industry by self inspiration. I have done this report on the general banking activities. This department works about customer relationship desk. That means what types of product are they offer, which type of customer can open the A/C, How the cash section does work etc. The 1st chapter contains the origin, objectives, limitations etc. of the study & 2nd chapter described Overview of EXIM Bank in Bangladesh. On the other hand the 3rd chapter deals with Literature review; the 4th chapter contains methodology, the 5th chapter is analysis, interpretation and findings and 6th chapter is recommendation & conclusion part of the report. As a requirement for my Bachelor of Business Administration program I have prepared this report on ‘‘Customer Satisfaction through General Banking activities –A Study on EXIM Bank Bangladesh Limited”. During the internship period, I am required to prepare a report on the organization where I have been attached. My supervisor Mrs. Farhana Rahman, Assistant Professor, Department of Business Administration, STAMFORD UNIVERSITY BANGLADESH’’­­- assigned me this topic. The internship was conducted from 1st June to 31stAugust 2010. To gain practical experience and view the application of theoretical knowledge in real life. To get a clear idea about Bank and how it runs and what function it does. To gather theoretical knowledge of the general banking function. To prove my theoretical knowledge in real practical field. To search expectations of the customers regarding the service level of the bank. To suggest my findings for continuous improvement of the Bank. While I preparing this report, I had a great opportunity to have an in depth knowledge of all the divisional work practiced by EXIM Bank Limited. It also helped me to acquire a first hand perspective of a leading private Bank Bangladesh. The scope of this report is to analyze general banking activities and literature part of EXIM Bank Limited and to compare with the other two banks which in existing in Bangladesh. The report was fully exploratory in nature. Data have been collected from both primary and secondary sources. Conversation with the bank officers and staffs. Different manuals of EXIM Bank Limited. Different circulars of EXIM Bank Limited. Various files, balance sheet and various documents. Collected information was processed by the use of computer system, research techniques etc. and this detail analysis work is embodied in the report. The present study was not out of limitations. But as an internship student it was a great opportunity for me to know the banking activities of Bangladesh, especially EXIM Bank. Banking being a profession of daily routine and non-routine business, its top and mid-level managers remains very busy. In length and thorough discussion on selected topics is very much essential for any research. Proper justice could not be done for all the variables because of the busy schedule of the concerned managers. As most of the bankers remain pre-occupied with current business activities, documents relating to old activity get automatically a lower priority and are usually not preserved very systematically. Poor documentation became a great limitation on the study. In adequacy of literature was another great limitation on the research. As a BBA student it is required to gather some experience such, how to take decision when the bank fall into a problem and what is it’s management policy, how to set up their portfolio, what is their business strategy but a branch does not do so. In spite of all this limitation I have tried my best to put as far as possible. EXIM Bank Limited was established under the rules & regulations of Bangladesh bank & the Bank companies’ Act 1991, on the 3rd August 1999 with the leadership of Late Mr. Shahjahan Kabir, founder chairman who had a long dream of floating a commercial bank which would contribute to the social-economic development of our country. He had a long experience as a good banker. A group of highly qualified and successful entrepreneurs joined their hands with the founder chairman to materialize his dream. In deed, all of them proved themselves in their respective business as most successful star with their endeavor, intelligence, hard working and talent entrepreneurship. Among them, Mr. Nazrul Islam Mazumder became the honorable chairman after the demise of the honorable founder chairman. Of its very beginning, EXIM Bank Bangladesh limited was known as BEXIM Bank, which stands for Bangladesh Export Import Bank Limited. But for some legal constraints the bank renamed as EXIM Bank, which means Export Import Bank Of Bangladesh Limited. The bank starts its functioning from 3rd August 1999 with Mr. Alamgir Kabir, FCA as the advisor and Mr. Mohammad Lakiotullah as the Managing Director. Both of them have long experience in the financial sector of our country. By their pragmatic decision and management directives in the operational activities, this bank has earned a secured and distinctive position in the banking industry in terms of performance, growth, and excellent management. The principal activities of the bank are providing all kinds of commercial Banking Services to its customers. The other activities of the bank are providing of all kinds of Islamic banking services to its customers. To provide high quality financial services in export and import trade. To provide excellent quality service. To maintain corporate and business ethics. To become a trusted repository of customers money and their financial advisor. To make our stock superior and rewarding to the shareholder. To display team sprit and professionalism. To have a sound capital base. EXIM Bank Ltd. as the name implies, is not a new type of bank in some countries on the global, but is the first of its kind in Bangladesh. It believes in togetherness with its customers, in its march on the road to growth and progress with services. To achieve the desired goal, it has intention to pursuit of excellence at all stages with a climate of continuous improvement. Because it believes, the line of excellence is never ending. It also believes that its strategic plan and business networking will strengthen its competitive edge over in rapidly changing competitive environment. Its personalized quality services to the customers with the trend of constant improvement might be cornerstone to achieve its operational success. This bank is one of the most disciplined banks with a distinctive corporate culture. Here we believe in shared meaning, shared meaning and shared sense making. Our people can see and understand events, activities, objects and situation in a distinctive way. They mould their manners and etiquette, character individually to suit the purpose of the bank and the needs of the customers who are of paramount importance to us. The people in the bank see themselves as a tight knit team that believes in working together for growth. The corporate culture we belong has not been imposed; it has rather been achieved through our corporate conduct. To have a strong customer focus and to build relationship based on integrity, superior service and mutual benefit. To strive for private and sound growth. To work as a team to serve the best interests of the organization. To work for continues business innovation and improvements. To value and respect people and make decisions based on merit. To provide recognition and reward on performance. To value open and honest communication. The sponsors of EXIM Bank Limited are highly successful leading entrepreneurs of the country having stakes in different segments of the national economy. They are eminent industrialists and businessmen having wide business reputation both at home and abroad. This is the civil supervisory aspect that shapes the Bank’s main feature. Its existence is part of the Shariah Supervision procedures. One of its main tasks is to check the Shariah compliancy in the Bank’s transactional procedures in accordance to the Fatwas issued in that regard, under the guidance of the Shariah Supervisor. The Shariah auditor is assigned the task of revising the Bank’s transactional procedures throughout the year to check the extent to which the staff members and the different departments have abided by the regulations. Advices and Fatwa’s issued by the Fatwa & Shariah Supervision Board, forums, & banking conferences. As well as, assuring that all the contracts that states a right for the Bank or an obligation on the Bank is certified by the Fatwa & Shariah Supervision Board. Moreover, the Shariah Auditing submits periodic reports to the Shariah Supervisor in order to be proposed to the Fatwa & Shariah Supervision Board to state what is finds appropriate in that regard. To manage and operate the Bank in the most efficient manner to enhance financial performance and to control cost of fund. To strive for customer satisfaction through quality control and delivery of timely services. To identify customers credit and other banking needs and monitor their perception towards our performance in meeting those requirement. To review and update policies, procedures and practices to enhance the ability to extend better services to customers. To train and develop all employees and provide adequate resources so that customer needs can be responsibly addressed. To promote organizational effectiveness by openly communicating company plans, policies, practices and procedures to all employees in a timely fashion. To increase direct contract with customers in order to cultivate a closer relationship between the bank and its customers. Export Import Bank of Bangladesh Limited is the 1st bank in Bangladesh who has converted all of its operations of conventional banking into shariah-based banking since July/2004. The process by which Noriba’s investments are designed and executed allows the Bank to offer a combination of Shariah compliance and capital markets expertise that is unique throughout the world. Noriba is committed to the strict adherence to the requirements of the Shariah as a result of the Bank’s sole focus on Shariah-compliant investments and the full supervision of its financial products and transactions by the Noriba Shariah Board. Noriba experts specifically design each of the Bank’s investment vehicles with the approval of the Noriba Shariah Board. Once the given product or transaction has been arranged, the Noriba Shariah Board carefully screens it for compliance before giving final approval for its implementation. This control mechanism guarantees that all aspects of Noriba’s final products and banking transactions arte in adherence with the guidelines of the Shariah. EXIM Bank Ltd. was incorporated as a public Limited company on the 2nd June 1999 under Company Act 1994. The Bank started commercial banking operations effective from 3rd august 1999. During this short span of time the Bank has been successful to position itself as a progressive and dynamic financial institution in the country. The Bank widely acclaimed by the business community, from small business/entrepreneurs to large traders and industrial conglomerates, including the top rated corporate borrower from forward-looking business outlook and innovative financing solution. In year 2007 EXIM Bank ltd. made commendable in all business arenas like Deposit, Credit, Fund Management, Investment and Foreign Exchange related business. Deposit taking including special schemes. Introducing Card Network and electronic banking. Building strong presence in the market with reputation. The Bank widely acclaimed by the business community, from small business/entrepreneurs to large traders and industrial conglomerates, including the top rated corporate borrowers from forward-looking business outlook and innovative financing solutions. The bank started with an authorized capital of Tk. 100 million in 1999 and as on 31st December 2005 paid up capital stood at Tk. 878.85 million. The paid up capital stood at Tk. 3373.96 million as on 31st December 2009. In the year 2005 the total reserve was taka 569.99 in million, but in the year 2005, it was increased on taka 569.99 in million. At the year of 2009 it is reached at taka 2092.97 million. Deposit is one of the principal sources of fund for investment of commercial banks and investment of deposit is the main stream of revenue in banking business. The total deposit of the bank stood at Tk. 7383.55 million as on December 2009 against Tk. 5758.70 million of the previous year which is an increase of 28.21%. This growth rate may be termed as a remarkable achievement for the bank. The present strategy is to increase the deposit base through maintaining competitive rates of profit and having low cost of funds. On December 31, 2009 the total amount of investment is 2169.44 million taka, which was 2894.02 million taka last year. The notable investment represents deployment in Treasury bills and Shares, Prize bond & other. The total import business handled by the bank during the year 2005 was Tk. 26781.70 million as compared to Tk. 19260.10 million in the previous year showing an increase rate of 75.216%. The significant items of imports were industrial raw materials, consumer goods, machinery, Fabrics and accessories etc. As on December, 2007 EXIM bank Imported Tk. 61399.40 million of goods. The total volume of export handled by the bank during 2004 was TK. 22418.40 million compared to TK. 15124.60 Million in the previous year are showing an increased rate of 72.93%. As on December, 2007 the total volume of export was Tk. 55790.24 million. Considering the inherent desire of the religious Muslims, EXIM Bank has launched Islami Banking system and inaugurates two Islami Banking Branches in the year 2002. The Islami Banking branches perform their activities under the guidance and supervision of a body called “SHARIAH COUNCIL”. The SWIFT services helped the bank in sending and receiving the messages and instructions related to our NOSTRO account operations and L/C related matters. We have brought 6 of our Branches under SWIFT network. Other Branches will come under the network hopefully by the year 2010. Besides we have BKE arrangements with 430 Bank Branches in 100 countries. To maintain all types of deposit A/Cs. To conduct other Banking services. For any financial and non- financial organization, management is the most valuable and important resources of any kind of organization. And a well-organize management provides the organization to reach its ultimate goal. Management means planning, organizing, staffing, directing and controlling of all financial and non- financial resources of an organization. Different aspect of management practice in EXIM Bank is discussed below. EXIM Bank has done its planning within the preview of the corporate plan. The overall planning approach in EXIM Bank is top down. Each branch can plan according to the goal imposed by the corporate level. It doesn’t plan independently. And EXIM Bank has a planning division. This department is mainly responsible for the overall planning. EXIM Bank is organized as per the existing business locations. It has twenty-four branches each of which is a separate entity. Each unit is responsible for own performance and a senior vice president (SVP) followed by Manager Heads each. He is responsible for the performance of their unit. The recruitment in EXIM Bank is done in two ways. One as a ‘probationary officer’ for the management program and it has a probation period of one year. Another one is non-management level as ‘Trainee Officers’. Probationary officer’ is recruited in officer category and their career path is headed towards different managerial jobs. The management approach in EXIM Bank is top down. Information just seeks through lower management layer. Works are designed in such a way that one cannot leave without clearing the tasks as he is assigned for a day. Sitting arrangement in all office is done in a way that the superior can monitor the subordinate all time. Budgeting, rewarding, punishing, etc. are also practiced as control mechanism. Improvements in operating effectiveness. Essentially, the human resources approach means that better people achieve better results. The set-vice rule of EXIM Bank states the recruitment policy of the bank. In general the board of directors determines the recruitment policy of the bank from time to time. The minimum entry-level qualification for any official position other than supportive management is a Bachelors degree. Inauguration of first branch: August 03, 1999. SWOT Analysis of EXIM Bank Ltd.
First strength is that it is a shariah based bank. By this time it has established an integral, customer friendly relationship with its clients. It has prominent saving scheme named DPS for a fixed or lower income group of people of this society. It provides services even after the banking hour to special clients. Sound profitability growth and high asset quality. Honest, sincere, and dedicated employee competency. Wide market share and stable source of fund. High attention on recovery of overdue amount and or pre-overdue situation. Close monitoring on investment clients. High attention on individual performance. High attention on making quality investment and disposal of proposals. All the officials/ manpower are dedicated and honest to serve its own duty. As a whole the human resource is the main capital/ assets of the division. Business ethics of the division is similar to the ethics and values of mass people of our country. Traditional network system and lack of full scale automation. Lack of required ideas in modern investment products. Poor marketing of investment products. Lack of required information specifically on SME. No growth on carrier advancement. So the employee wants to switch elsewhere. Lack of experienced, competent as well as proficient manpower in almost every department. EXIM Bank ltd does not have an individual marketing department. They have limited advertising strategy on behalf on their bank and accompanied by conservatism rule in this sector. Customers switch to her banks or have an account with other banks due to the services that EXIM Bank does not provide and lacking behind relative to those prevailing customer services. They have no such program to finance to the new entrepreneur or creating the same. Scope of market penetration through diversified investment products. Increasing awareness of Islamic banking among the clients. Scope of develop new committed entrepreneurs. Country wide branches having wide opportunities to access in different kinds of business. Service charges in other banks are comparatively higher than EXIM Bank Ltd.
EXIM Bank Ltd enjoys the training packages, workshops and has their own training institutes that generate a task for combining of competent, innovative and sophisticated business professionals. Because of the intense competition, most of the competitor banks of EXIM Bank Ltd are coming up with new service line ATM. The competitor banks of EXIM Bank Ltd have more geographical coverage than EXIM Bank Ltd.
State law defers with the Islamic Shariah. In the money market of Bangladesh there is no call money system of Islamic Shariah. General banking department is the heart of all banking activities. This is the busiest and important department of a branch, because funds are mobilized, cash transactions are made; clearing, remittance and accounting activities are done here. a. Current deposit will be received on Al-Wadia principle & the same will not get any profit. b. Savings deposit will be accepted on Mudaraba principle & such deposit will bear 0.62 of profit. “Islamic bank is a financial institution whose status, rules, procedures expressly state its commitment to the principle of Islamic shariah & to the banning of the receipts & payment of the interest in any of its operation”. For the convenient of the reader who are not familiar with the Islamic Banking Term. The following are some terms of Islamic Banking for mobilization of deposits & schemes are becoming popular day by day. Current account is purely a demand deposit account. There is no restriction on withdrawing money from the account. It is basically justified when funds are to be collected and money is to be paid at frequent interval. balance at a time and limit twice in a month. If withdrawal amount exceed 1/4th of the total balance at a time no interest is given upon the deposited money for that month. Normally various big companies, organizations, Government Departments keep money in MSTD account. Frequent withdrawal is discouraged and requires prior notice. The deposit should be kept for at least seven days to get interest. The interest offered for MSTD is less than that of savings deposit. Interest is calculated based on daily minimum product and paid two times in a year. Interest rate is 4.50%. An existing Current Account holder of the Bank. Officials of the Bank not below the rank of an Assistant officer. A respectable person of the locality well known to the Manager/Sub-Manager of the Branch concerned. Account opening from to be filled in and signed by the account holder(s). Introduction by an account holder with signature and account number or any person acceptable to be bank. Two copies of recent passport size photograph of each account holder attested by the introducer. One copy passport size photograph of nominee attested by the account holder. Copy of passport/ national ID card/ Driving Licence/ Office ID/ Word Commissioner’s Certificate/ Any ID card acceptable to the Bank. Two photographs of the signatories duly attested by the introducer. Joint Declaration Form (For joint a/c only). Employee’s TIN Certificate (in case of service holder). Resolution of partners to open the A/C and authorization for its operation duly certified by the Managing Partner. Partnership Letter duly signed by the all numbers. List of Partners along with their full address & phone numbers. Valid copy of Trade License. Board resolution of opening A/C duly certified by the Chairman/Managing Director of the company. Certified copy of Certificate of Incorporation of the company. Certified copy of Certificate of Commencement (In case of Public limited company). Certified (joint stock) true copy of the Memorandum and Article of Association of the Company duly attested by Chairman or Managing Director. List of directors along with designation & specimen signature, full address and phone number. Latest certified copy of Form – xii (to be certified by register of joint stock companies) (In case of Directorship change). Board Resolution for Opening A/C duly certified by President/ Secretary. Certified copy of certified of Registration/ permission from the concerned Department(s) of the government. List of members of the Governing Board/ Executive Committee with their address and phone number. Permission letter from Bureau of N.G.O. (In case of N.G.O. A/C). Mudaraba term deposit receipt is a different type of account. Law permitted persons can open this account. MTD is also known as time liabilities or fixed deposit receipt. These deposit, which are made with the bank for a fixed period specified in advance. Normally the money on a term deposit is not payable before the maturity date of a fixed period. The bank need not maintain cash reserves against these deposits & therefore. The bank offers high profit on such deposits. The depositors has to fill an application form in he/she mentions the amount of deposit, the period for which deposit is to be made the name/names in which the term deposit receipt is to be issued. In case of a deposit in joint name, EXIM Bank also takes the instructions regarding payment of money maturity of the deposit. The banker also takes the instructions regarding payment of money on maturity of the deposit. The banker also takes specimen signature of the depositors. A term deposit account is then issued to the depositor acknowledging receipt of the sum of money mentioned therein. It also contains the rate of profit & the date on which the deposit will fall due for payment. Organization can open a term deposit account. It is usually paid on maturity of the term deposit. EXIM Bank calculates profit at each maturity date & provision is made on that “mudaraba term deposit (MTD) expenditure payable account” is debited for the accrued profit. In case of premature MTD, EXIM Bank is not bound to accept surrender of the deposit before its maturity date. In order to dater such a tendency the profit on such a term deposit is made cut a certain percentage less on agreed rate. Normally less than one month or one month no profit will get. If deposit is more than one month then STD profit rate (5.5%) is allowed. In case of loss MTD, the client has to inform, then has to application to the bank. Then he/she is asked to record GD (General Diary) in the nearest police station. After that, the client has to furnish am Indemnity Bond to EXIM Bank a duplicate MTD is then issued to the client by the bank. In EXIM bank the instrument is automatically renewed on maturity date of profit if the client doesn’t come to en-cash the MTD. The period for renewal is determined as the previous one. MTD is not a negotiable instrument. The legal position of a banker regarding a MTD is that of a debtor which bound to repay the money after the maturity of the term deposit. Cheque books are not issued for Mudaraba Term Deposit account. To gather public’s idle money in exchange of high return within the shortest possible time. The period of deposit is 10 years. Any individual, company, educational institution, government organization, NGO, trust, society etc. may invest their savings under this scheme. The savings amount is to be deposited within the 10th of every month. In case of holidays the deposit amount is to be made on the following day. The deposits may also be made in advance. The depositor can have a separate account in the bank from which a standing instruction can be given to transfer the monthly deposit in the scheme’s account. Generally, withdrawal is not advised before a 5-year term, but if it is withdrawn before the above term, then interest will be paid at savings rate. However, no interest will be paid if the deposit is withdrawn within 1 year of opening the account. In case the depositor wishes to withdraw between the 5, 8, 10 or 12-year period then full interest will be paid for a completed term and savings rate will applicable for the fractional period. After three years of savings in this scheme the depositor (if an adult) is eligible for a loan up to 80% of his deposited amount. In that case, interest rates on the loan will be applicable as per prevailing rate at that time. If the depositor fails to pay 5 installments in a row, then he will be disqualified from this scheme and interest will be applicable as mentioned in withdrawal clause. If a depositor fails to pay 5 installments in a row after completion of 5-year term, then the Bank reserves the right to close the account and interest will be paid as, mentioned in withdrawal clause. A form has to be filled at the time of opening the account. No introduction is needed but attested photographs are advised. The depositor can select any of the installment amounts, which cannot be subsequently changed. In case of minors the guardians may open and supervise the account in his favor. A single person can open more than one account for saving under several installment rates. The accumulated deposit with interest will be returned within one month of completion of a term. The depositor should notify the bank immediately on any change of address. The government tax will be deducted from the interest accumulated in this scheme. If necessary, at the request of the depositor, the scheme can be transferred to a different branch of the same Bank. The Bank reserves the right to change the rules and regulations of the scheme as and when deemed necessary. Higher monthly income for higher deposit. The scheme is for a 5-year period. Monthly income will be credited to the depositor’s account on the 5th of each month. An account is to be opened by filling up a form. The Bank will provide to the customer a deposit receipt after opening the account. This receipt is non-transferable. If the deposit is withdrawn before a 5-year term, then saving interest rate will be applicable and paid to the depositor. However, no interest will be paid if the deposit is withdrawn within 1 year of opening the account and Monthly Income paid to the customer will be adjusted from the principal amount. A depositor can avail loan up to 80% of the deposit amount under this scheme. In this case, interest will be charged against the loan as per Bank’s prevailing rate. Savings helps to build up capital and capital is the prime source of business investment in a country. Investment takes the country towards industrialization, which eventually creates wealth. That is why savings is treated as the very foundation of development. To create more awareness and motivate people to save, Exim Bank offers SUPER SAVINGS Scheme. Any individual, company, educational institution, government organization, NGO, trust, society etc may invest their savings under this scheme. The deposit can be made in multiples of Tk 5,000. The period of deposit is for six years. Any customer can open more than one account in a branch in his name or in joint names. If the deposit is withdrawn before six years term, then savings interest rate +1% will be applied before payment is made. A depositor can avail loan up to 80% of the deposited amount under this scheme. In case of death of the depositor, before the term, the deposit (with interest5 at savings rate +1%) will be given to the nominee. In case of issuing a duplicate deposit receipt the rules of issuing duplicate receipt of Term Deposit will be applicable. Savings helps to build up capital and capital is the prime source of business investment in a country. Investment takes the country towards industrialization, which eventually creates wealth. That is why savings is treated as the very foundation of development. To create more awareness and motivate people to save, Exim Bank offers MULTIPLUS SAVINGS Scheme. The period of deposit is 10 years. But the deposit can be withdrawn at any year with interest. As an example, if deposit is withdrawn after completion of 1 year but before 2 years then deposit with interest will be paid for 1 year only. The same rule will apply for other years. If deposit is withdrawn before 1st year then no interest will be paid. Any customer can open more than one account in a branch in his name or in joint names. A deposit receipt will be issued at the time of opening the account. The depositor can avail loan up to 80% of the deposit under this scheme. In case of issuing duplicate receipt the rules of issuing a duplicate receipt of Term Deposit will be applicable. In case of death of depositor before the term, the deposit (with interest at savings rate) will be given to the nominee. In the absence of nominee, the heirs/ successors will be paid on production of succession certificate. The nominee may, at his option continue the scheme for the full term. Hajj is one of the fifth rukan in Islam. In the socio-economic perspective of our country low income group can not provide necessary money in together for Hajj. For not taking profit rather for meeting their desires & hopes EXIM Bank has introducing “EXIM Bank Hajj Account Project.” In order to made smooth arrangement of fund for performing Hajj, the bank has introduced this scheme for 5, 8, 10, 15, & 20 year’s period. A deposit which is payable at a fixed date or after a period of notice is a time deposit. EXIM Bank accepts time deposits through Fixed Deposit Receipt (FDR), Short Term Deposit (STD) and Bearer Certificate Deposit (BCD) etc. While accepting these deposits, a contract is done between the bank and the customer. When the banker opens an account in the name of a customer, there arises a contract between the two. This contract will be valid one only when both the parties are competent to enter into contracts. As account opening initiates the fundamental relationship & since the banker has to deal with different kinds of persons with different legal status, EXIM Bank officials remain very much careful about the competency of the customers. After the banking hour cash is packed according to the denomination. Notes are counted and packed in bundles and stamped with initial. Before starting the banking hour all tellers give requisition of money through “Teller cash proof sheet”. The head teller writes the number of the packet denomination wise in “Reserve sheet” at the end of the day, all the notes remained are recorded in the sheet. Remittance Section: Remittance is another significant part of the general banking carrying cash money is trouble same and risky. Mat s why money can be transferred from one place to another through banking channel. This is called remittance. Remittance of founds are one of the most important aspects of the Commercial Banks in rendering services to its customers. Between banks in the different centers. Between central bank of different customers. Carrying cash money is troublesome and risky. That’s why money can be transferred from one place to another through banking channel. This is called remittance. Remittances of funds are one of the most important aspects of the Commercial Banks in rendering services to its customers. ∆ Between banks and non banks customer. ∆ Between banks in the same country. ∆ Between banks in different centers. ∆ Between banks and central bank in the same country. ∆ Between central bank of different customers. Payment Process of the paying bank Payment is made through clearing 1. Confirm that the DD is not forged one. Test key arrangement is a secret code maintained by the banks for the authentication for their telex messages. It is a systematic procedure by which a test number is and the person to whom this number is given can easily authenticate the same test number by maintaining that same procedure. EXIM Bank has test key arrangement with many banks for the authentication of LC message and for making payment. Commission @ 0.15% or minimum TK. 25. VAT @ 15% on commission minimum TK. 25 on 10,000. According to the article 37(2) of Bangladesh Bank Order, 1972, the banks which are a member of the clearing house are called as Scheduled Bank. The Scheduled Banks clear the cheque drawn upon one another through the clearing house. This is an arrangement by the central bank where everybody the representative of the member banks sits to clear the cheques. For clearing there is a department in every bank. This department receives cheques, drafts & like instruments from its client for the purpose of collection with a deposit slip over the counter crediting their accounts. Clearing of cheque is done through the clearing house in Bangladesh Bank. Every day the first hour starts at 10.30 am & returns house at 5.00 pm. Clearing is a system by which a bank can collect customers fund from one bank to another through clearing house. Clearing House is a place where the representatives of different banks get together to receive and deliver cheque with another banks. Normally, Bangladesh Bank performs the Clearing House in Dhaka, Chittagong, Rajshahi, and Khulna & Bogra. Where there is no branch of Bangladesh Bank, Sonali bank arranges this function. EXIM Bank LTD. is a scheduled Bank. According to the Article 37(2) of Bangladesh Bank Order, 1972, the banks, which are the member of the clearinghouse, are called as Scheduled Banks. The scheduled banks clear the cheque drawn upon one another through the clearinghouse. A) Outward Clearing: When the Branches of a Bank receive cheque from its customers drawn on the other Banks within the local clearing zone for collection through Clearing House, it is Outward Clearing. B) Inward Clearing: When the Banks receive cheque drawn on them from other Banks in the Clearing House, it is Inward Clearing. 2) 2nd house: 2nd house normally stands after 3 p.m. and it is known as return house. 2) 2nd house: 2nd house normally stands after 2 p.m. and it is known as return house. Who will deposit cheque for Clearing: Only the regular customers i.e. who have Savings, Current, STD & Loan Account in the bank can deposit cheque for collection of fund through clearing house. 1) Name of the account holder same in the cheque & deposit slip. 4) Bank & Branch name of the cheque, its number & date in the Deposit slip. 5) Cheque must be signed. 7) Cheque should be crossed (not for bearer cheque). 8) Account number in the deposit slip must be clear. 9) Depositor’s signature in the deposit slip. Return House means 2nd house where the representatives of the Bank meet after 3 p.m. to receive and deliver dishonored cheque, which placed in the 1st Clearing House. 2) Amount in figure and word differs. 3) Cheque out of date/ post- dated. 4) Payment stopped by the drawer/ Payee’s endorsement irregular / illegible / required. 5) Drawer’s signature differs / required. 6) Crossed cheque to be presented through a bank. 7) Other specific reasons not mentioned above. The dishonor cheque entry in the Return Register & the party is informed about it. Party‘s signature required in the return register to deliver the dishonor cheque. After duration, the return cheque is sent to the party’s mailing address with Return Memo. If the cheque is dishonored due to insufficiency of funds then EXIM Bank charges. 50/=as penalty. 1) Crossing of the cheque. 2) (Computer) posting of the cheque. 3) Clearing seal & proper endorsement of the cheque. 4) Separation of cheque from deposit slip. 5) Sorting of cheque 1st bank wise and then on branch wise. 6) Computer print 1st branch wise & then bank wise. 7) Preparation of 1st Clearing House computer validation sheet. 9) Copy of computer posting in the floppy disk. In modern banking the mechanism has become complex as far as smooth transaction and safety is concerned. Customer does pay and receive bill from their counterpart as a result of transaction. Commercial bank’s duty is to collect bills on behalf of their customer. Outward Bills for Collection (OBC). Inward Bills for Collection (IBC). 1) Entry in the OBC register. 2) Put OBC number in the cheque. 3) “Crossing seal” on the left corner of the cheque & “payees account will be credited on realization “seal on the back of the cheque with signature of the concerned officer. 4) Despatch the OBC cheque with forwarding. 5) Reserve the photocopy of the cheque, carbon copy of the forwarding and deposit slip of the cheque in the OBC file. When the banks collect bills as an agent of the collecting branch, the system is known as IBC. In this case the bank will work as an agent of the collection bank. The branch receives a forwarding letter and the bill. IBC against OBC: To receive the OBC cheque first we have to give entry in the IBC Register .The IBC number should put on the forwarding of the OBC with date. Deposit of OBC amount: OBC cheque amount is put into the “sundry deposit-sundry Creditors account”, prepare debit & credit voucher of it . If the OBC cheque is honored, send credit advice (IBCA) with signature & advice number of the concern branch for the OBC amount. If the OBC cheque is dishonored, the concerned branch is informed about it . Again place in the clearing house or send the OBC cheque with Return Memo to the issuing branch according to their information. Accounts Department is called as the nerve Centre of the bank. In banking business, transactions are done every day and these transactions are to be recorded properly and systematically as the banks deal with the depositors’ money. . Improper recording of transactions will lead to the mismatch in the debit side and in the credit side. To avoid these mishaps, the bank provides a separate department; whose function is to check the mistakes in passing vouchers or wrong entries or fraud or forgery. This department is called as Accounts Department. If any discrepancy arises regarding any transaction this department report to the concerned department. Besides these, the branch has to prepare some internal statements as well as some statutory statements, which are to be submitted to the Central Bank and the Head Office. This department prepares all these statements. Preparing the budget for the branch by fixing the target regarding profit and deposit so as to take necessary steps to generate and mobilize deposit. a) Qualitative Methodology: It involves a phenomenological perspective whereby researchers aim to understand report and evaluate the meaning of events for people in particular situations, that is, how their social world is structured by the participants in it. The focus of qualitative methodology is the way in which participants (rather than the researcher) interpret their experiences and construct reality. Some examples are: unstructured interview, focus group, open-ended questionnaire and participant observation, etc. b) Quantitative Methodology: It involves those methodologies, such as closed surveys structured interviews and socio-grams (diagrammatic representations of interactions between individuals) which enable data (concrete or conceptual) to be collected, measured and compared with a standard. a. Observation – This methodology involves watching and recording behaviors of the observed group in a clearly defined area. The researcher plays the role of observing the group action/s and recorded the data. b. Questionnaire – It is an instrument for collecting data beyond the physical reach of the researcher, that is, from a large or diverse sample of people. It is an impersonal instrument for collecting information and It must, therefore, contain clear questions, worded as simply as possible to avoid any confusion or ambiguity since the researcher probably will not be present to explain what was meant by any one particular question. The questionnaire should be designed to fulfill a specific research objective; it should be brief and the sequence of the questions logical. c. Interview – an interview may be tightly structured, semi-structured, unstructured, indepth or conversational. This methodology involves the researcher and the interviewee in a one-to-one situation and may be quite time consuming. The researcher may interview several people at different times using the same interview question schedule. We use both primary and secondary data for collecting information. How we went through the process is mentioned here. Sources of secondary data are showing below by the following table for easy and quick understanding. Due to the institutional attachment (Stamford University Bangladesh) and the convenience place, the sampling frame of the study is limited to the EXIM Bank, Malibagh Branch. The population of this survey consists of present account holder and potential account holder of Export Import Bank Limited, Malibagh Branch. I have selected 200 clients on random basis and then I interviewed them and asked to fill-up the questioner. We prepared questionnaire on numbering basis. Here, Very Good=3, Good=2, Fair=1, Poor=0 along with some questions with yes and no options and satisfactory or dissatisfactory option. 1. What is your opinion about the banking environment of EXIM Bank Ltd.? Interpretation: From the above data analysis we can see, most of the clients agreed that the banking environment of EXIM Bank is good. Some people commented it is very good and a few said it fair. Overall we can say that, the bank maintains standardized service in this aspect. 2. Employees are always ready to help/Co-operate the customers. Do you agree? Interpretation: Analysis shows that most of the clients agreed that the employees are always ready to help them. They are very cooperative. 3. Do you think customers are getting more facilities here in comparison with other banks? Interpretation: From the analysis we can see that customers are getting more facilities comparing to the banks. At all same time, a large number of clients expressed that in some specific cases such as interest rate etc, they are getting more facilities, but not all sectors of banking service. 4. How do the employees behave with the customers? Interpretation: From the analysis it is found, most of the clients agreed that the employees are well behaved with the clients. 5. Do you think EXIM Bank is using modern banking equipments? Interpretation: Our data analysis shows that majority of the person support that they should modernize their equipment for banking service. Very few customers are satisfied with their technical support. 6. “Together Towards Tomorrow”- The slogan of EXIM Bank Bangladesh Limited. Do you think they are maintaining their service quality according to their slogan? Interpretation: From the above analysis we can see, most of the time they are maintaining the quality and they are trying to expand their service in the whole country as well as all over the world. 7. Do you feel the account opening process is hazy & lengthy? Interpretation: From the above analysis shows that the most of the client agree that account opening process is hazy & lengthy. Few clients commended that all process are ok.
8. Do you think they are providing prompt service at cash section? Interpretation: Our data analysis shows that customers are not satisfied with the cash service. Support that they should modernized their equipment for banking services. Very few customers are satisfied with their technical support. 9. Does the bank make aware of the “FAKE NOTE” to its client? Interpretation: Our data analysis shows that the bank not only works as a financial institution but also it performs some social responsibilities. 10. How do you evaluate the service of the cash section particularly? Interpretation: From the above data analysis we can see, mast of clients agrees that the service of clients agreed that the service of cash section is good. Some people all the people want that the bank should take initiative to start many other facilities with its present operations. 11. Are you satisfied with the remittance facilities offered by the bank? Interpretation: Our data analysis shows that the feedback of the client undouthly indicates that the customers are satisfied with the remittance service of the bank but regarding the bank should be careful regarding making remittance policy to cop with the changing economic condition worldwide. 12. How will you comment the service of WESTERN UNION? Interpretation: Data analysis shows that WESTERN UNION providing faster money transfer service but many of the clients thinks it yet very costly. As the service is commented as fair, so the bank should improve this service. 13. Modern technological changes should be added to improve the service like ATM machines, Credit Card, Master Card, Visa Card etc. Do you agree? Interpretation: All the people want that the bank should take initiative to start many other facilities with its present operations. As a consequence of that the bank is recently some initiatives to enhance its technical assistance. 14. Do the branches of the bank is situated in convenient places of the clients? Interpretation: From the above data analysis shows that percentage of the positive answer or well enough, so the banks need not to worry about the convenience of its branches. However, the banks should always be careful of its competitors operating in such area that there is lack of banks own branch. 15. They should open more branches in Dhaka City as well as the other cities of the countries. Do you agree? Interpretation: Data revealed that all the clients want that they should open more branches in Dhaka city as well as the whole country. 16. How do you comment of the overall performance of EXIM Bank Limited? In general banking department Bank use the computer software for supporting banking system. Such as Account Opening, General Ledger Monitoring, Stationery Monitoring, Security Stationery Monitoring, Fixed Asset balancing, online facility monitoring etc. According to some clients opinion introducer is one of the problem to open an AWCD, MSB, and MSTD account. If a person, who is new settler in the Bank covering area and wants to open account, it is a problem for his/her to arrange an introducer of MSB or AWCD, MSTD account holder. In case of opening an account some big parties come to open accounts in reference with the high official of the bank. They do not submit all the necessary papers in the time of account opening so it crates pending account and banker find it difficult on later to collect necessary papers. In cash area there are 04 (four) counters one is used for payment and other three used as collection but due to manpower shortage it is difficult to maintain the counter properly and manual counting after machine counting may take long time for receiving the deposit. TT, DD, PO facility provided by the bank but most of the client is not highly aware of online facility. Bank has no debit card facility to use ATM booth. But Bank have Credit Card facility to use VISA logo indicated ATM booth of other Banks, Exim Bank has the agreement with this Bank. Exim Bank has data centre at Dhanmondi but full-fledged operation still will not go on. Bank use online data transfer network for Information Technology (IT) Department and Head Office. Only one computer in WESTERN UNION Remittance Section. That’s why the service is not as prompt as the customers demand. Clearing section is not using Networking facility of Information Technology (IT) Department. So they have to transfer data from branch to Motijheel Branch by using floppy disk and sure it is not a good system. 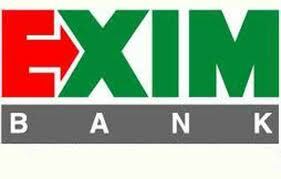 EXIM Bank does not give their high attention on advertisement at Newspaper, TV, and Radio etc. As a competition market it is too much important for any organization to increasing their advertisements procedure to provide information to the clients & Probable clients. Telephone-banking (SMS Banking) till not started. Debit Card facility and Bank own ATM facility was not established. Audited purpose some manual register must be maintained but computer system may overcome it. Money laundering issue is taken serious consideration as such account holder information verified as much as possible and CTR & STR reporting is going on to send them Bangladesh Bank as per their requirements. Terrorist financing monitoring measure is going on some high risk category account must checked every 03 months. Bank does Social responsibility work like Scholarship, Hospital Donation, Tsunamy fund, BDR fund. The entire department should be well informed regarding their goals and objectives. It is essential to execute company objectives into individual target. There have Office Order for allocation of responsibilities authority and accountability but it should be more precise for individual level. The bank should introduce more promotional activities at TV Channel. The bank should take the initiative to develop an effective research and development center to get innovative ideas to capture the competitive market. Malibagh Branch should take necessary steps for Authorized Dealership License as soon as possible for doing foreign exchange business smoothly. To meet today’s urge of the customer, the bank should introduce E – Banking system, Credit Card and Automated Teller Machine (ATM). The bank has the provision of internship program but there is no organized structure for the internship program. The bank can properly utilize the internees at minimum cost. The bank should go for advertising about their services and facility for the clients. As a result banking activities will expand. To attract more clients, EXIM Bank has to offer more products & services compare to the others bank. To observe the balance sheet of profit & loss A/C, we can say that EXIM Bank has to increase some factors & reduces to the another factors compare to the Islami Bank & Shahjalal Bank like operating income has to increase, operating expense has to reduces, retained earnings has to increases etc. To attract more clients & hold the market EXIM Bank has to create a new marketing strategy, which will increase the total export-import business. There are more gaps are showing between perception & expectation of the respondents. As soon as possible remove this gap, which exist between clients & bank. Establish own ATM network & maintain sufficient in ATM booth or leasing it. Bank participate some social activities and we hope bank can increase this benefit to its clients and employee. Banking systems is becoming more & more vital for economic development of Bangladesh in mobilizing capital & other resources. EXIM Bank, being a third generation bank, is also extending such contributions as to the advancement of the socio-economic condition of the country.EXIM Bank is – a bank with difference. During my internship program I was assigned to work in general banking section where I have to go through different steps related to the Banks Deposit Schemes and Islami Banking Operation. Here I felt that, though banking is constantly changing and being equally challenging, EXIM Banks major concentration is always on quality service not on quantity. Customer focus is their priority not volume of the business. According to me this concept of EXIM Bank has differentiated it from its competitors. personal observation and discussion with personnel of general banking department, EXIM Bank Limited, Malibagh Branch, Malibagh, Dhaka. EXIM Bank’s strategy is to add more strength to the company’s performance by highlighting the areas where they have the advantage today and where they can grow faster than their competitors. The bank think different to give differentiated service to its customers and try to run business better than every passing day and better than their competitors. from EXIM Bank Limited, because I want to build up my carrier in Banking Sector. My main objective of doing internship in a bank was to know about the Banking procedures. Though my topic is “Customer satisfaction through General Banking Activities of EXIM Bank Limited: “I have spent my time in all Departments of Malibagh Branch, Malibagh, Dhaka”.. My experience in EXIM has provided me with an insight in the day-to-day operations of a bank. During the 12 weeks internship program at EXIM, I have observed more & more gaining knowledge of practical banking which is more powerful support on my career. However, I have enjoyed my three months internship at EXIM. There were some problems in case of preparing report. But I have tried at my level best to prepare my report effectively. Along with maintaining standard level of services EXIM Bank is playing a leading role in economic development of the country. It understands the needs of the customers and thus it understands the needs of the nation. EXIM bank and its contribution to the economy of Bangladesh along with high level of corporate social responsibility are providing it a way to move forward in faster than other banks in the country. Annual Report of EXIM Bank Limited 2008 & 2009. Different types of Form of EXIM. Newspapers: “Prothom Alo” & “Daily Star”. Different officer of the branch under whom I worked. Bangladesh Laws on Banks & Banking. Marketing research, by N K Malhotra.